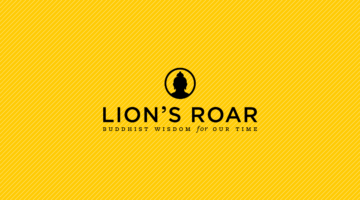 Our March 2016 magazine is the first issue of Lion’s Roar (formerly Shambhala Sun), and it’s now available. 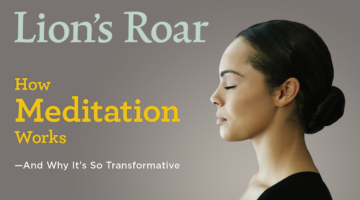 (Read about our change from “Shambhala Sun” to “Lion’s Roar” here.) The premiere issue features 14 fascinating Buddhist teachers on its three-panel cover — and inside, too. 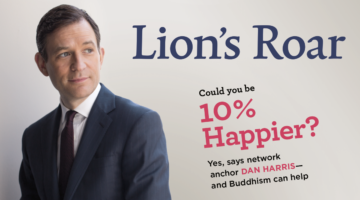 Plus, it’s packed with people and stories sure to inspire you with real Buddhist wisdom for your life. Here’s a preview of what’s inside, with a few web exclusives you can check out right now. L-R: Josh Korda, Dharma Punx; Ethan Nichtern, Shambhala International; Sharon Salzberg, Insight Meditation Society; Kate Johnson, Interdependence Project; Lama Rod Owens, Natural Dharma Fellowship; Geoffrey Shugen Arnold, Zen Mountain Monastery; Roshi Pat Enkyo O’Hara, Village Zendo; Rebecca Li, Dharma Drum Chan Community; Gina Sharpe, New York Insight; Zoketsu Norman Fischer, Everyday Zen Foundation; Rev. angel Kyodo williams, Center for Transformative Change; Sylvia Boorstein, Spirit Rock Meditation Center; Larry Yang, East Bay Meditation Center; Anam Thubten Rinpoche, Dharmata Foundation. 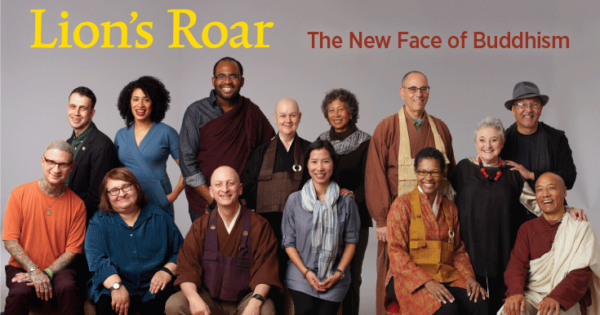 “The proclamation of the dharma,” the Buddha said, “is as fearless as a lion’s roar.” We asked the 14 teachers on our cover: What is the most important truth to proclaim in today’s troubled world? Hear them roar! At every stage of your path, says Chögyam Trungpa, the fearless proclamation of the truth cuts through ego. Are you ready to hear it? Inspired by 18-month-old Clea—and her friends Luna and Wawa—author William Powers and his family put nature at the center of their lives. From a transformative near-death experience to begging on the streets of India—Mingyur Rinpoche’s exclusive first account of his four years as a wandering yogi. Online: Read a preview here. Mingyur Rinpoche teaches us the main meditation practice he did during his retreat. Philosopher Peter Singer and philanthropist Julia Wise talk with Buddhist monk and author Matthieu Ricard about the innumerable benefits of altruism—for ourselves, our loved ones, and all beings. Online: Watch an exclusive video discussion about Buddhism and Star Wars: The Force Awakens here. Dharma, pop culture, and good-natured gossip. Featuring Morgan Freeman, Emma Watson, this issue’s Dharma-Burger, and more. What favorite music lyric reminds you of a Buddhist teaching?